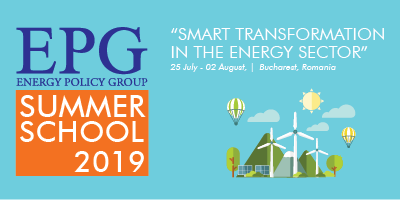 The first edition of Energy Policy Group’s Energy Summer School will be held between 23 – 27 July 2018 in Bucharest, with a focus on ‘Smart Transformation in the Energy Sector’. Andrei Covatariu, EPG Senior Research Associate & Summer School Director, highlights the purpose, main topics and targets of this bold endeavour. Dear Andrei, first of all what is this project scope and to whom is it addressed? We believe the energy sector is undergoing deep changes. For this reason, these days, maybe more than ever, young professionals that are studying, working or that are just being interested in the energy field for its interconnections with the economy, society and environment, need a broader grasp of the sector. We find it essential to debate about the challenges and prospects of the energy sector as a whole and to understand how to shape a smart transition to the world of tomorrow. The EPG Summer School is targeting master and PhD students, as well as young professionals interested in studying and working in the energy sector proper, or seen from the related disciplines of economics, law, political science, environmental studies and so on. What concepts and themes will be discussed on this occasion? First of all, the global trends on the energy markets and in policy making have to be well understood, in their interdependent dynamics and against the background of the energy sector’s greatest externality: global warming. An in-depth discussion of the oil and gas sector, with its current challenges and prospects, as well as of alternative fuels for transport (electricity, biofuels, natural gas, and hydrogen) will take place in order to put the future of mobility in the right perspective. Then, the basics of the nuclear sector will be discussed, against the backdrop of the ongoing transition to a clean and safe power generation system. Special attention will be given to grid digitalization, smart technologies, energy efficiency and emerging products and services (demand-response and storage, just to name a few), while also considering requirements of sustainability and affordability. Who will be the lecturers? The Summer School has an international dimension, both in terms of attendees and speakers/lecturers. 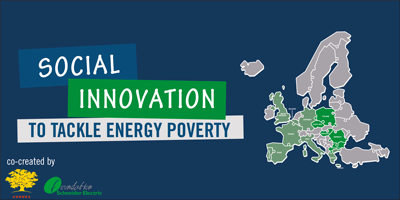 We have invited reputed national representatives of the energy sector, along with speakers from abroad, who will present different regional perspectives. We are proud to have as lecturers representatives of energy utility companies, energy consultants, diplomats, policy makers, association members and NGO representatives. What attendees need to know before joining this program? It is important to know that the EPG Summer School will draw a balance between interactive seminars and debates led by international and Romanian experts, field trips to the Cernavoda Nuclear Power Plant and the EFdeN house, and also activities that include a Design Thinking Workshop and a World Energy Simulation Game (a role-playing exercise that enables people to try out the policies and investments that will allow them to reach their goals on climate change). The summer school will be a great opportunity from people all over the world to interact, debate and connect, forming what we believe will soon become a stand-alone community of alumni and lecturers. Speaking about future plans, what are your short-term and long-term goals? We are quite happy with the way things are evolving – including the applications submitted so far and the feedback received – which follows from the well-designed concept of this first edition. I am sure that the program scheduled for July 23-27 is only the beginning of a long-standing project and I strongly believe that the EPG Summer School will soon become part of the top energy-related summer schools in Europe.